What does it mean when images of refugees’ plight are shared on social media? Or when we respond to emotive NGO fundraising campaigns, or are heartened by do-good reality TV shows? Do these narratives offer incentives for genuine social change or only momentary feelings of individual satisfaction? 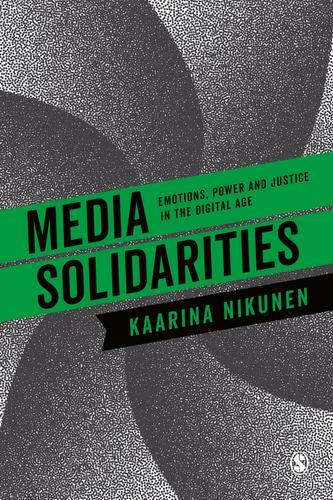 Drawing on social theory, political economy and cultural studies, Media Solidarities explores the way in which media can both enable and obstruct meaningful bonds of solidarity and positive social change. Written in a highly approachable style, it ties theory to contemporary world events and media discourses through a series of examples and case studies. The book offers an analytical toolkit to critically understand media narratives of representation, participation and production and to challenge our perceptions of our selves and society. It will be fascinating reading for students in media and communications, politics, sociology, human geography and cultural studies.